"We've always felt failures, all of our lives," said former guitarist and lyricist Richey Edwards back in 1992, before his disappearance and before their mass popularity. "We've never felt much worth. We started the band because we had complete contempt for our own lives - because everything in the past always seems much more beautiful than anything we've got now." Fast forward 21 years and the Manic Street Preachers are still living by the same philosophy. Famed throughout their career for using the past to illuminate what's missing in the present, we find the Manics on their 11th studio album - openly nostalgic to romanticise the simpler truths in life. "I don't want my children to grow up like me, it's too soul destroying, it's a mocking disease - a wasting disease," pines James Dean Bradfield at his most soulful over a radio transmission to open the album. What follows is a simple acoustic ditty that harks back to the halcyon tenderness of This Is My Truth Tell Me Yours, but drenched in a new folky nostalgia. The warmth is only amplified by a wonderful guest vocal from Lucy Rose before things draw to a typically Manics melancholic close: "This sullen Welsh heart - it won't leave, it won't give up. The hating half of me has won the battle easily." And just like that, the melancholy is immediately lifted into a pretty magnificent celebration. Drummer Sean Moore brings out his trumpet to drive the entire track with some pretty jubilant hornplay as the band soar on an ode to returning to the origin of everything to understand the find the simple glories in life. Featuring band's trademark gut-wrenching poetry met with an elegiac stately grace, the title track is loaded with feeling as Richard Hawley's nostalgaic drawl bathes the whole track in sepia tones, as rock's old boys pay tribute to growing up in colliery towns and wanting to share the wonder of a childhood lost: "rewind the film once more - I want the world to see it all." A haunting 'Tubular Bells'-esque tinkling of keys introduces this dark but easy lament with an ecclecticism of sounds previously only saved for Manics' (brilliant) b-sides. This is the band that once sang "there's nowhere I want to see, there's nowhere I want to go." Renowned for appropriating the glamour of rock n' roll while celebrating the comforts of the day-to-day and the ordinary, 'Builder Of Routines' is the sound of that initial prophecy coming full circle as the band come to terms with handling their current position in life: "How I hate middle-age - in between acceptance and rage." Perhaps the biggest departure for the Manics, '4 Lonely Roads' is the furthest from anything that we have heard from them before. A sparse but ghostly delicate and artful arrangement of wandering bass, marching drums and subtle strings provide the backing for Cate Le Bon to take lead vocal as she angelically whimpers and harps a plea for "some dignity, a little love, a little love," before a brilliantly dischordant breakdown. The opening seconds carry the horrendous sense of dread that things might be going 'a little bit U2', before an overwhelming relief comes with the enchanting oriental sounds of the Kokyū blending with subtle eletrconic beats and a pulsing synth to create to recreate the harmony of the past, present and future that the Japanese metropolis is so known for. It's another bold and surprising experiment for the Manics that makes for a pretty moving tribute to 'the smog and the sunshine' of Tokyo as Bradfield knowingly pines: "I miss the emptiness of the silence, I long for the non-communication, everything I believe is lost in translation." Swooning with a pretty heavy waltz before an almighty powerballad chorus, 'An Anthem For A Lost Cause' feels a bit like the slightly more understated acoustic campfire cousin to A Design For Life. Easily conjuring images of swaying fists and lighters, expect to hear this towards the end of the live set in future. 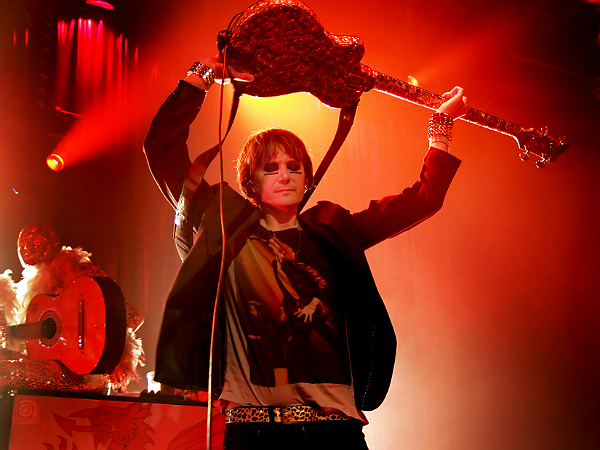 Nicky Wire's vocals used to send shockwaves of cringe, but he's come a long way from his dirgey mumblings on Know Your Enemy. Elevated far above a sigh, Wire's verses on 'As Holy As The Soil' mark a clear progression and his comfort and openness has never been more apparent. Sit back and get lost as his heartfelt plea is carried with ease and packed with feeling - that's if you can get past the fact that it sounds a hell of a lot like 'Shining Light' by Ash. If there's one thing that the Manics have had to live with more than any of their peers, it's drama and sadness. Picking up where 'You're Tender And You're Tired' left off on This Is My Truth, '3 Ways To See Despair' is a dark downward spiral that sees the band return to dealing with the exhaustion and torment of depression as Bradfield openly mourns: "the three ways are real, I've lived through them all - the fourth way is coming, so prepare for the fall" before JDB's Gibson Les Paul wails with all of his infamous stadium-commanding majesty. If there's a more delightfully bitter and oh-so-typically Nicky Wire opening line of "my eco system is based on hatred", then I haven't heard it. A the reality of age against the delusion of opportunity, 'Running Out Of Fantasy' is starkly beautiful testament to all that has kept the Manics grounded after all of these years. The Manics aficionados among you will know that the band have penned some utterly stunning instrumentals as b-sides in recent years (check out 'You Know It's Going To Hurt', 'Alien Orders/Invisible Armies' and 'Ostopolitik', if not). Carrying on that tradition of breaking down their sound to its bare and basic elements, the Manics paint a vivid and colorful picture of the Pembrokshire village in an enchanting soundscape that really gives the album a moment to breathe - very much akin to those on Bowie's Low. Wow. Where did this come from? Space age sounds and a rich tapestry of searing guitars and echoes unerlie what could, by all measures, be called the perfect distillation of the Manics' manifesto. On this is my Truth's closer 'SYMM', Bradfield came upon the task of translating the horror of the Hillsborough disaster into music when he responded: "The context of this song, well I could go on and on - but it's still unfashionable to believe in principles." It seems that they've finally overcome the challenge, and then some. Spitefully spitting about 'the lies of Hillsborough' and that 'the old boy network won the war again', Wire's words have never been more barbed as they make a call to arms, take aim and fire. From the loaded intro of "it's the longest running joke in history, to kill the working classes in the name of liberty," '30 Year War' bristles with intent and makes for a real stand-out moment in a long career of era-defining brilliance; one of their finest moments. It's pretty impressive that after all of these decades, they're still fiercely and stubbornly refusing to be moved as the last band standing with the fire in their belly to forever keep questioning: "I ask you again 'what is to be done'?" 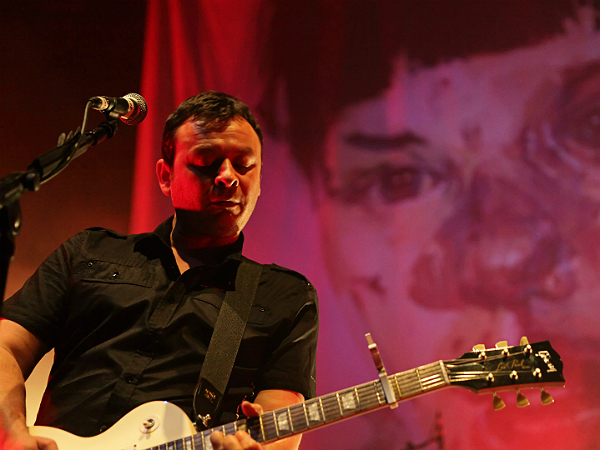 James Dean Bradfield once said that there 'two versions' of the Manics - the grand anthemic band that brought us Generation Terrorists and Everything Must Go, or the twisted post-punk explosion that brought us The Holy Bible and Journal For Plague Lovers. Here, we find another. Of all of the 90s legacy bands, none sound like the Manics. Despite their standing and influence, there have been few artists to try and copy or match their approach. Interestingly, not even the Manics sound like the Manics on Rewind The Film. While it shares some of the stately grandeur of This Is My Truth, Rewind The Film carries a great deal more adventure, scope, ecclectecism, hope and vibrancy. If this isn't the side of the band you prefer then fear not - they've a second, more 'caustic kraut-rock' album due for release next year. But this isn't the sound of a band resigned to Radio Two playlists and milking the Britpop years to plod-along as pedestrians to fill mid-size venues with acoustic laziness. This is the Manic Street Preachers at their most pragmatic - facing their failures but sounding oh so triumphant. They're still as full of rage as they ever were, but rather than sledgehammering it home by donning a balaclava and setting fire to the Top Of The Pops studio, they're comfortably carrying it with them in their DNA. In short: Rewind The Film is a future classic that deserves to be heard and treasured. Long live the Manics. Rewind The Film is released on 16 September, 2013. 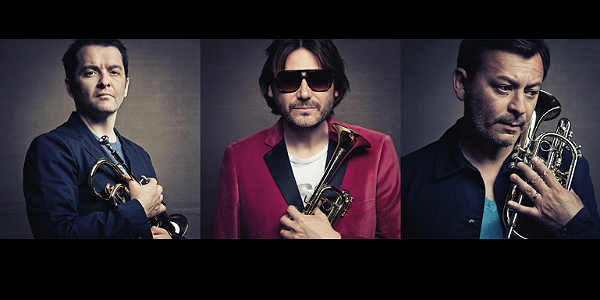 Manic Street Preachers will be headlining Festival No.6 before heading out on a full UK tour. For more information visit Gigwise gig tickets.